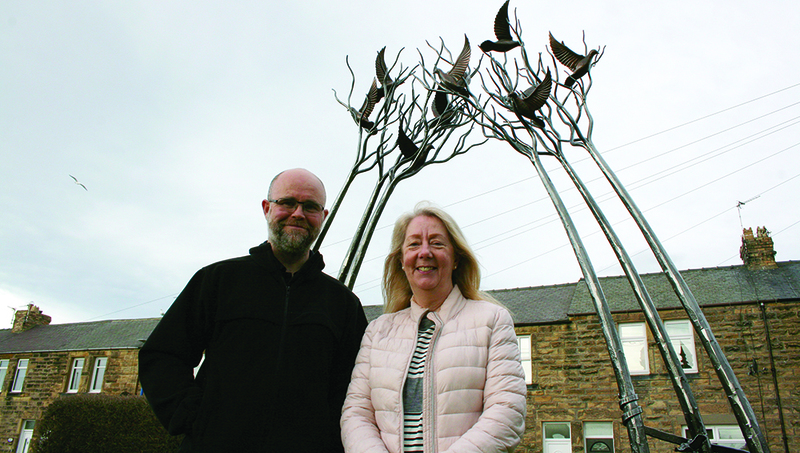 Amble is celebrating being awarded a £396,000 grant to develop a coastal bird sculpture trail. The project known as Bord Waalk was initiated by Amble Development Trust, and aims to create several artist-developed sculptures and installations at points along the coastline between Hauxley Nature Reserve, around Amble and along the river to Warkworth. The project was awarded the grant from the Coastal Communities Fund, and is one of only 26 other projects in England to receive funding. Julia Aston, director of Amble Development Trust said, “This is fantastic news. It will aid the continuing regeneration of the town and build upon what has been achieved so far. We are aiming this to be a unique experience and become a trail of national significance. We will be inviting artists to submit designs and concepts in the near future. The project estimates creating 45 full time equivalent jobs and training opportunities, and 10 rehabilitation roles, as well as redesigning public realm spaces. One thought on "Amble flying high with bird sculpture trail"
Lesley Young told me that you were looking for suggestions of birds that could go around the town. I’m not sure you are looking for suggestions, but if you are I am asking if it is possible for St Cuthbert’s Church to be considered for an art work relating to a ‘Cuddie’s’ duck, given that they were the favourite birds of St Cuthbert.